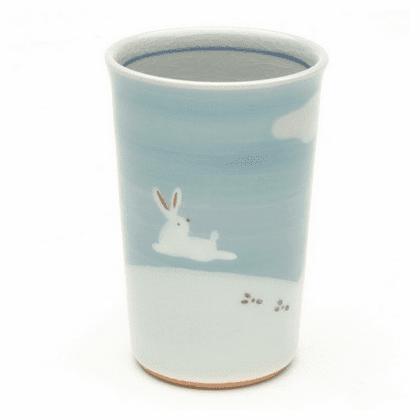 Cloudy Bunny Snow Hill Cup, 7 oz. Home | Ceramic Tea Cups & Mugs | Ceramic & Porcelain Cups | Cloudy Bunny Snow Hill Cup, 7 oz. Ceramic cup holds 7 ounces, 2-5/8" in diameter, 4" tall.